Are you and your organization making the best first impression when home buyers and sellers call you? Is your phone being answered in a professional manner? Do your virtual tours include professional narration to help you show and tell? Make the most of every opportunity available when interacting with prospects. Whether it’s phone prompts, Message On Hold, or virtual tour audio, the power and effectiveness of audio marketing is an essential component. You know what you want your clients and would be clients to be viewing and reading. Don’t forget what they’re listening to. Guarantee each caller is greeted professionally. Grow client acquisition, loyalty, and engagement. Holdcom has a range of audio marketing services to suit the needs of the largest Real Estate system as well as the budget of a smaller boutique firm. We have solutions and equipment options to accommodate multi-location organizations or a single location. Start improving the client’s experience today. If you have callers who wait on hold, it’s imperative that you let them feel well taken care of. A Message On Hold program with professional narration and licensed music helps you maintain your professional image while informing the caller and building your brand image. When you’re on the go, setting up open houses and showing properties your cellphone becomes your mobile office. When you can’t answer the phone, it’s important to make the right impression. A voicemail greeting recorded by a professional voice talent ensures you always look–and sound–your best. In the real estate industry, virtual tours have become standard. Short of an in-person showing, there’s no better way to show off a property. 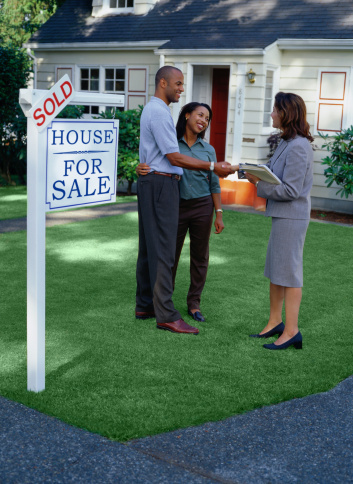 By adding professional music, narration, and ambient sounds, you can show and tell how great a property is. Thank you for your quality voice work and VERY fast turn-around time! The disk works great. A pleasure doing business with you and I’ll pass your name on to everyone I know in the industry. Thank you very much. I really appreciate your help getting this under control. You guys are great! !